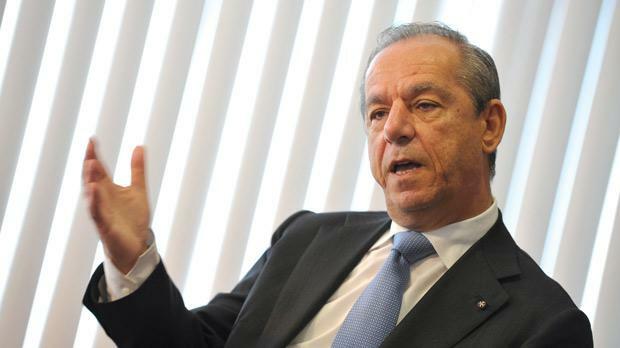 Nationalist Party leader Lawrence Gonzi mulls his legacy, his health and his future in an interview with Herman Grech. Five weeks after the election defeat, you’ve probably had time to reflect on what led to the 35,000-vote deficit. Was it just a matter of people wanting change? No, it wasn’t just that, though it was the main reason. We have a commission which is analysing the result and I don’t want to influence their analysis. People wanted change and they wanted it hard. It was something that was evident in 2008 and we addressed it. We were told at the time we would lose that election, because the PN had been in party for a long time. But we persuaded people we were the best agents for change. This time we didn’t. Are you saying nothing could have secured a PN victory, not even if you pledged to eliminate taxes? I didn’t say that. In 2008, everyone told me it was impossible to win and we won it with the GonziPN ticket. Clearly our campaign, our message, our difficulties in the last five years, our decisions... the message from electorate was categorical. Your administration did have its highs. There’s broad consensus you handled the Libya issue well. Why didn’t you choose to go for the election then? Because I’ve never looked at elections as a tool to use at the cost of the national interest. These past five years were terrible. Countries around us are asking for charity, whereas Malta remains strong and I’m proud of that. Ultimately, you dragged out the election till the very end and not only was it against the best interest of the Nationalist Party but also the country’s. Whichever way you choose to read the statistics, trade slowed down in the last quarter of the year. I disagree with the analysis. In 2012, Malta continued to do well. Our unemployment is among the five lowest countries in the EU, foreign direct investment and the number of gainfully occupied grew. It was a record tourism year and we negotiated €1.1 billion from the EU. The political uncertainty certainly harmed the economy. There was a slowdown. The country’s economy continued to grow when there were disasters around us. The worst thing I could do was create economic uncertainties for ourselves. Our economy continues to do well, despite the slowdown of the last quarter of 2012 where revenues were concerned. Income tax revenues, however, exceeded expectations. Your stand on the divorce issue damaged your image, possibly beyond repair. Didn’t you consider stepping aside at the time? Yes, I considered moving out completely. The referendum decision needed to be respected. If I was going to be the obstacle for the decision, I would have moved out within 24 hours. But it was clear that the law being drafted was good and I was able to express my vote and that the law would pass. Didn’t you feel that your stand on divorce harmed the party to such an extent that you should have considered moving out to give the PN a fighting chance at the polls? I don’t surrender my positions simply out of convenience. The party took a political decision. A referendum was held and we respected it. My duty was to make sure the country moves forward, to create jobs. I was convinced that if I moved out I would have created much uncertainty in the party and country. I had an economic mandate for five years. Austin Gatt was clearly a problem in your legislature, not only because Franco Debono wanted him out but because he did not deliver on a number of projects. Why did you retain him as part of your Cabinet? Austin is a very efficient person. He addressed a number of reforms, some were successful, and one didn’t work out as well as we wanted it. There are a lot of positives to the public transport reform. We have a modernised fleet which replaced buses that put people’s lives at risk and triggered so many complaints. Austin is a controversial person but a decision needs to be made maturely. A decision isn’t taken because someone is stamping his feet. A year before the election, you said Austin Gatt would be stepping down to concentrate on the campaign. That was in January 2012 when I carried out a reshuffle and a member of my own parliamentary group decided to rebel against it. I thought I had three to four months to the general election and I needed Austin to inject his experience in the party’s organisation. Austin had said he would not contest the election. For a number of reasons we continued to administer the country for a whole year and run our full term. The end result was we were clearly thumped at the polls but the country remained strong. If I had to choose between the economy and creating employment and my popularity I would choose the country. To what extent did Franco Debono cause this electoral haemorrhage? To a large extent. But it’s not just him. Party infighting is always a disaster, even in the best of times. Fortunately, that chapter is closed, we have a stable party and I’m proud of our parliamentary group. My sources tell me you were at the receiving end of a number of compromising messages from Dr Debono. Yes, I received thousands, not hundreds of SMSs. Yes, from one single individual – they came at all hours of the day and night. At one stage I was even attending a very delicate EU summit in Brussels. It was midnight and I received messages from this person telling me he wanted to speak to me at all costs, even though we were negotiating one of the most difficult situations in Europe. Speak to you about what? About some particular problem he had. But that’s not the point, it’s water under the bridge, it’s a closed chapter. It might be a closed chapter for you, but the public is unaware of these incidents because you’ve chosen to remain silent. Was he threatening you? I won’t go into the merits. It was a five-year saga. This wasn’t just a couple of weeks. It started on day one! You’re saying you were sent thousands of SMSs. Even to members of your family? No, they were sent to me even when I was trying to enjoy some free time with my family. Were the text messages related to the Government, or were they insulting to you? You mention it. It was there. It was a source of uncertainty, tension and pressure for all of us, for me, my family... Notwithstanding all of this we left a strong country. Remember just two years ago, our now Prime Minister was telling us to emulate Cyprus, and Cyprus today is pleading for charity. What would you list as the worst point of your legislature? The worst point was when I realised the honoraria issue got out of my control. It’s a pity because it was done in a genuine way but mishandled. It was a major mistake which needed to be corrected. What would you describe as your finest hour? There are two instances. One of them was in 2009 in the middle of the economic crisis. I was in France attending a conference to market Malta as an investment destination and I got to know a major factory was announcing it would shut down. That would have been a big blow for the country. I won’t mention the name. I got in touch with the Finance Minister, I spoke to prime ministers from France and Italy to intervene and we managed to save the day. These factories have grown and employed more people. It was one of the most satisfying moments. Then there was the Libya crisis, which was a moment when we were tested to the full. It tested our values and our preparedness to change the way we dealt with a neighbour for 40 years. The easy part would have been to stay on the sidelines and not get involved in the risks. We tested the neutrality clause and took the plunge. It was one of the finest hours of the Maltese people as well. Your successor will be chosen in a fortnight. What goes through your mind when you hear leader contenders talking about the need for a new direction? They’re right. The result we got speaks loud and it means we have to continue to change. In 2008 we changed several party officials and it’s not enough. A party in government is a different story to a party in opposition. At least three of the four contenders are openly liberal. Do you think the PN should go in this direction? So what qualities should the next leader have? He should have a vision for the future, full trust in the Maltese, a vision of Malta in Europe and the Mediterranean. More importantly, you need to get your economy move forward. Of course we need to remain a party for people and this is where we might have failed in these last five years. We faced so many challenges that we probably failed to tackle the individual’s needs, even if you cannot always strike a balance between national and individual needs. The first electoral test is in 14 months’ time. Can the PN make inroads by then? We’ve elected two MEPs in the two elections so far – our target should be to elect three. With good preparation as soon as possible, yes we can achieve it. How would you describe Labour’s first five weeks in office? It’s early days so I’m cautious in my assessment. I find it strange how this Prime Minister risked his enormous political capital by making some very strange and controversial choices, which frankly he didn’t need to make. I’m negatively impressed. I hope this nine-seat majority didn’t turn him into an emperor. What’s happening with the code of ethics is scandalous and contradicts what Joseph Muscat said in the past. He used to say we should reduce the salaries of MPs who fail to show up. Is he reducing one of his ministers to a part-timer? Has this emperor decided that because he has a nine-seat majority he can waiver the code of ethics? Joseph Muscat said he wants to amend the code of ethics. How does this emperor change the code of ethics that has regulated us for 20 whole years? That code emphasises one particular point: you have to make choices. You have to dedicate your energy to that particular area you’re assigned to. Even at the expense of a patient? If that’s the case, give your preference to the patient, not the parliamentary secretary position. If Franco Mercieca really loves his patients, he should have chosen to stay with his patients. If he chooses to go for government then he’s making his own choice. But it’s his and the Prime Minister’s choice and responsibility. If he wants to abandon his patients then let him do so; if he wants to work with his patients it’s his choice. But you cannot have it both ways. The Prime Minister is trying to introduce a new concept: that you can have the cake and eat it. I’m sorry. What’s worse is why did we have to come to know about this through The Times? Shouldn’t he have felt the responsibility of declaring this publicly himself? Shouldn’t he at least have told us he was considering doing this? But no, it was once again The Times that exposed this scandalous decision. The argument that he (Mercieca) is the only surgeon who can such operations has been contradicted by other experts. There are other questions one should ask. What’s he earning from the private sector, for example? Do you think there should be a change in the code of ethics? No. Do we want full time or part-time ministers? I think we need full-timers. Franco Mercieca is Parliamentary Secretary for the Elderly and I know the area. It’s a major area which impacts directly not only the quality of life of a growing section of our population, it also complicates matters for our health system. It’s irresponsible to do, and this in the first five weeks of a government which promised so much. A lot of it was words and no substance. In another interview, you indicated you could step down from Parliament once a new leader is elected. Is that the case? I haven’t taken the decision yet but it’s an option on the table which I will consider carefully. I will do it in the best interest of the party. I will always continue supporting the party. Why should it be in the interest of the party to lose someone who has served for so many years? For a very simple reason: I believe it will be necessary for anyone to criticise decisions I have taken. And I want to facilitate that. I don’t want to create a situation where somebody does not analyse or criticise decisions I’ve taken simply because I’m there. I don’t want my presence to be some sort of obstacle to free discussion. It’s necessary for this party to find out where we can improve. Will you be interested in an MEP post? It’s not on the cards at this point in time. Although I always say these are decisions that are taken in the right time in the right circumstances. I’m trying to enjoy life a little bit more. I’m trying to regain a little bit what I lost in the past nine years because it’s a tough job. In 25 years of politics I dedicated a lot of my family life for the good of this country. You mentioned the cost to you personally. Before the election, you mentioned you were suffering from eye impairment. How serious is it? It’s very serious. I’m losing sight in my right eye. It’s a condition which hasn’t improved in the past 12-15 months notwithstanding treatment and injections in the eye. It’s a terrible experience but it’s there and I have to face it and address it. Has this emperor decided that because he has a nine-seat majority he can waiver the code of ethics? The consultant says it was the result of tension and pressure. When it was first diagnosed in January 2012, it came by chance. This is the irony of it. When we suspected an early election could take place I took a full medical test. While I was being tested for my eyesight, the consultant noticed something was terribly wrong. When they analysed what was wrong, he said the solution would be to stop work for six months. I burst out laughing and told him ‘you must be joking’ because in the next six months we had some difficult political challenges. It dragged on and on. Did it happen at the time when you were having issues with Dr Debono? I don’t know. My doctors said it was a sudden rise in blood pressure which burst blood vessels in my eye, which created this expansion of the macula in the eye. In theory there are still things I could do which I will try in the coming months. But the risk tied to the solutions is also substantial. I’m enjoying spending time with my family, my grandsons. Last Sunday, I took my two grandsons to the family park I had inaugurated in Marsascala. Your wife Kate is your biggest adviser. What’s she telling you about the future? She’s serene. And she’s impressed that so many people contacted us after the election to send their best wishes and encourage me to stay in politics. She keeps telling me we should be proud of the fact we are leaving behind us a very strong country that has changed dramatically for the better.